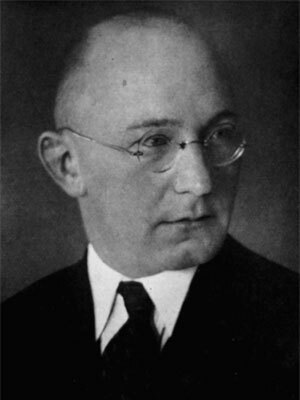 Abram (Bram) Poljak (1900–1963) was a Ukranian-born, Orthodox Jew. A musical prodigy, Poljak played violin for the Czar at the age of eight. As a young man, he moved to Germany and took work as a journalist. The writings of Leo Tolstoy brought him to faith in Yeshua. After a miraculous release from a Nazi prison, he immigrated to Israel between the wars and contributed to the pioneering of the twentieth-century Messianic Jewish movement there and abroad. Auf Dem Wege ("On the Way") is an anthology of articles written by Abram Poljak originally appearing in the monthly periodical Die Judenchristliche Gemeinde ("The Hebrew Christian Community") from 1954 to 1957. Der Oelzweig ("The Olive Branch") is an anthology of articles written by Abram Poljak written in Jerusalem and appearing in the monthly periodical Die Judenchristliche Gemeinde ("The Hebrew Christian Community") from 1949 to 1950. Judenchristen im Heiligen Lande ("Jewish Christians in the Holy Land") is Poljak's 1936 book documenting the history of believing Jews who lived in Israel. “The Battle Begins” is part 2 of “Bram: The Life and Wisdom of Messianic Jewish Pioneer Abram Poljak in His Own Words” compiled by D. Thomas Lancaster and originally published in Messiah Journal 116 (Summer 2014): 65–75. This is a French translation of that article.